The sample sessions in the Leadership Journey adult guides will give you ideas about how to plan and hold successful troop meetings that allow girls to Discover, Connect, and Take Action as they have fun with a purpose. 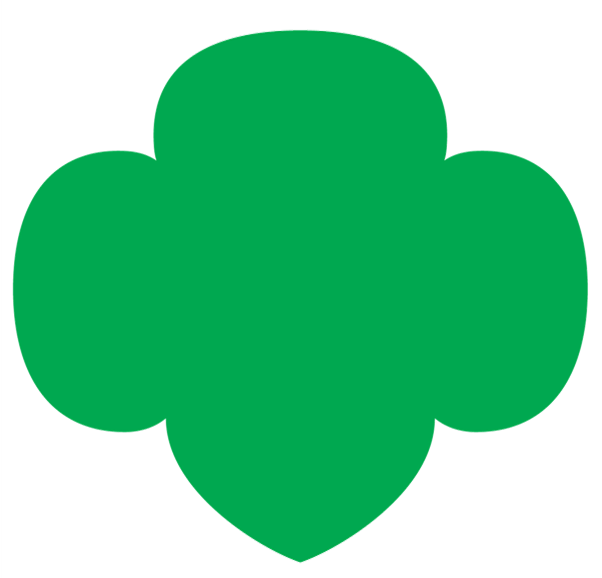 (See the “Girl Scouting as a National Experience” chapter of this handbook for more on the three processes.) Many volunteers find it helpful to think of meetings having six parts, as outlined below, but feel free to structure the meeting in a way that makes sense for you and the girls. Start-up activities are planned so that when girls arrive at the meeting they have something to do until the meeting begins. For younger girls, it could be coloring pages; teen girls might jot down a journal entry or just enjoy a little time to talk. The opening focuses the meeting and allows girls to start the meeting. Each troop decides how to open their own meeting—most begin with the Girl Scout Promise and Law, and then add a simple flag ceremony, song, game, story, or other ceremony designed by the girls. Girl Scout Brownies, for example, might create a new tradition by skipping in a circle while singing a song. Ceremonies, even when brief or humorous, make Girl Scout time special. The Journey adult guides contain ideas about openings that correspond to Journey themes. Activities will depend on what the girls want to do in their troop and how they want to spend their collective time. Outdoor time is important, so encourage the girls to do an activity in a park or forest. If girls are interested in animals, encourage the girls to plan a visit to a zoo or animal shelter. As you engage in one of the three National Leadership Journeys, review the “Sample Sessions at a Glance” in the adult guide for Journey activity ideas. Treats are an option some troops decide to include in their meetings and range from a bottle of soap bubbles or a jump rope to a food snack. If girls choose to include snacks, guide them to consider the health of a potential snack, as well as possible food allergies. Enlist the help of parents or guardians by asking them to sign up and bring a treat. You’ll also find plenty of snack ideas and signup forms in the adult guide of most Leadership Journeys. Clean-up is a great habit for girls to get their meeting space back to the way it was when they arrived—maybe even cleaner! Girls can also take leadership of the cleaning themselves, deciding who does what. They might even enjoy the tradition of a kaper chart (a chore chart that lists all the chores and assigns girls’ names to each), so that everyone takes turns at each responsibility. The closing lets the girls know that the troop meeting is ending. Many girls close with the friendship circle, in which each girl stands in a circle, puts her right arm over her left, and holds the hand of the girl standing next to her. The friendship squeeze is started by one girl, and then passed around the circle until it comes back to the girl who started it. When the squeeze is finished, girls twist clockwise out of the circle lifting their arms and turning around and out of the circle. In addition, you may find some helpful, Journey-related closing ceremony ideas in the Journey’s adult guide. You help each troop member do her part to ensure the meeting and activities are enriching and fun. Based on their grade levels and abilities, girls may decide and plan opening and closing activities, bring and prepare treats, teach songs or games, and clean up. As girls grow, they can show and teach younger members about Girl Scouting. They can also assist you in preparing materials for activities. For trips, campouts, parent meetings, and multi-troop events, girls may be responsible for shopping, packing equipment, handing out programs, cleaning up, gathering wood, and so on. As long as you pay attention to grade level and maturity, what girls can do is endless!